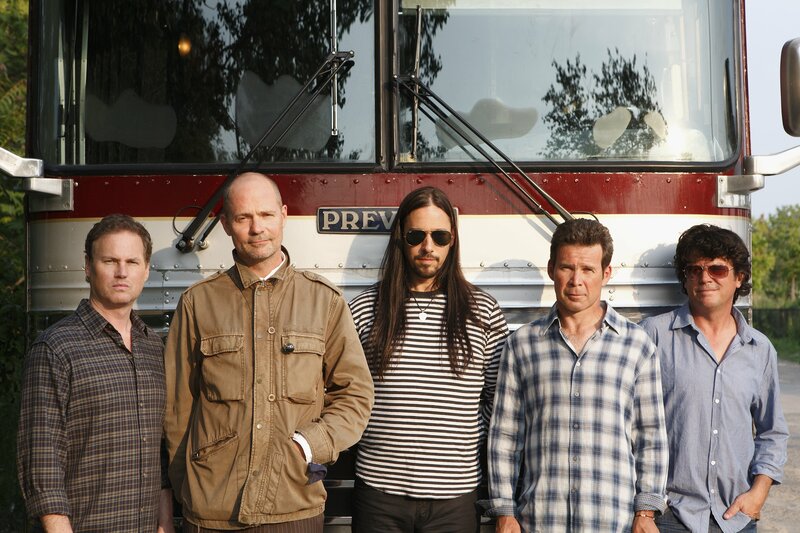 Last night The Tragically Hip played their final concert ever. Done and done. It’s devastating when the weight comes down like that, but I’m glad they didn’t put it off. If you are unfamiliar with the Hip, let me tell you five quick things to bring you up to speed: 1) They are the biggest ever band in Canada; 2) Lead singer/songwriter Gord Downie was recently diagnosed with terminal brain cancer; 3) To give a proper farewell to all their fans, they had the wherewithal to partner with the CBC to broadcast their concert around the country and stream it worldwide; 4) I watched that concert; 5) There is nothing I, nor anybody else could possibly tell you that would fully capture the exact feeling of watching this concert or how perfectly they captured the modern spirit in Canada, so why pretend? The kids don’t get it. So no, I am not going to write an article about that concert, because that would be foolish. I am not going to write about their songs in an attempt to make new fans out of all of you. I don’t do that. I write about movies, and so the best I can do, right here and now, is to talk a little about some of their best music videos, just as my own small way of commemoration. But seriously, the CBC—Canada’s national television network, their main source for everything—gave up three hours of Saturday night primetime the day before the Olympics ended so they could broadcast this concert. That’s how big a deal they are. Music videos are funny things, as makeshift as they are. I debated how best to organize this article, how comprehensive I wanted to be, how chronological, and then I thought, “Ah, screw it.” Here are some of my favorites. Are You Ready? This one is for you, and it goes on and on and on. Not all of their songs are like that, though. In fact, most of them aren’t. Take a quick look ahead at another of their most famous songs—and one of their sweetest love songs—“Bobcaygeon,” which tells the story about a member of the Toronto mounted police whose girlfriend lives in Bobcaygeon, but he doesn’t live there, he just commutes, and that’s, like, a real tough commute, eh? Really, though, only the Hip could take an idea like that and turn it into a beautiful thing. Anyone who’s ever been (luv)sic or has had to make a long distance relationship work will attest that there’s something universally resonant about “Bobcaygeon.” There’s no denyin’ that. That’s what love looks like. Of course, sometimes things don’t always work out, and when they start to fall apart, man, they really fall apart. “Ahead By a Century” has always been a favorite—indeed, it’s their biggest ever single—but it took on new meaning in Kingston last night as the final song they ever played live. “Ahead By a Century” is a great example of how Gord Downie could take something really simple and deliver it in a way no one had ever done before, and indeed no one else would ever think to do. As in “Poets,” Hip lyrics can be tough to catch and even tougher to understand, and sometimes they get a little abstract, but not out of place at all. “Locked in the Trunk of a Car,” one of my personal favorites, is the first one of their songs I really listened closely to and understood. It kinda blew my mind. I love this music video, but what gets me every single time I listen to this song is the final minute or so. After the last, “It’d be better for me if you don’t understand,” when he launches into those “Let me out” lines. Killer. They can rock, and they can send shivers down your spine, and the best songs are when the music and lyrics come together to completely absorb you. It’s music that can take you away. “Nautical Disaster” is like that. It’s a wall of sound, and every word and every note hits you just the same as the last. That is music at work. This is one of their simplest but most effective music videos, perfectly complementing the song, not distracting from it or pandering to the director’s artistic ego (which you have to admit can be a real problem in music videos). Check it out. Often, their greatest songs are their quieter, more introspective ones. I’m think chiefly of “Escape Is at Hand for the Travellin’ Man,” “Throwing Off Glass,” “Titanic Terrarium,” and “38 Years Old,” just to name a few, but those songs don’t have music videos, so here’s “It’s a Good Life if You Don’t Weaken” to illustrate that point. So, here we are, at the lonely end of the rink. What can you do? They’ve all gone. We’ll go, too. You can’t beat the inevitability of death. We’ll miss you fully and completely, but let’s just see what tomorrow brings, eh? I don’t know, but why suppose it’s not the way it should be? That’s one little thought that consoles me. It’s been a long time running, but it’s well worth the wait. He’s a man of great soul, and courage, and grace, too. They’ve got a song called “Heaven Is a Better Place Today,” and I’m sure it will be when that time comes. Until then, let’s stay engaged. Don’t you want to see how it ends?